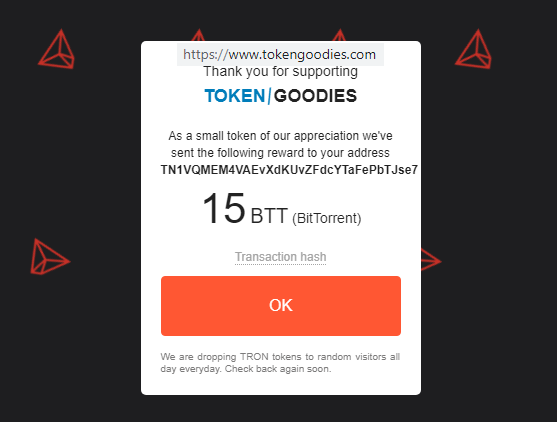 I was surprised to see a good old fashioned cryptocurrency faucet, and now I am looking to SEED some Torrent files to earn some more BTT BitTorrent files (I USed my Binance BitTorrent/Tron (TRX) Wallet deposit address and I hope it works. I already have a couple BTT airdropped from having 100 TRX or so, and am now on my way to buying at least a few thousand TRX, and I feel I should get at least 10,000 TRX as it is so cheap, just 1 penny each. UPDATE Just minutes later I checked my Binance wallet and BINGO 15 BitTorrent tokens arrived in my BINANCE wallet! @ackza Hey Zack, any chance you cN explain how you did this or show more pics of doing this... 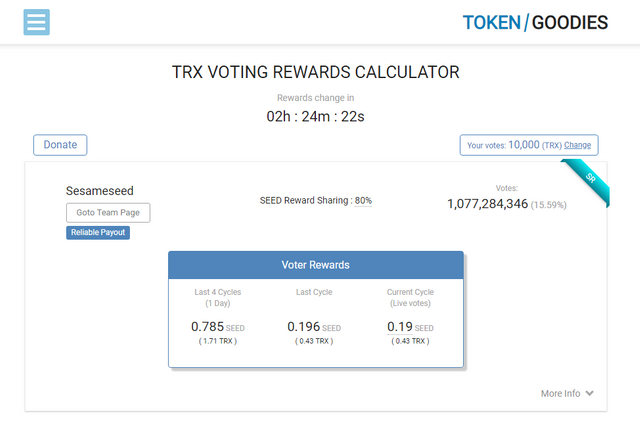 I am kinda confused on how to sell Tron votes 🤷🏽‍♂️ thanks bud!!! Telegram group (link to group on website) are airdropping FREE BTT to active participant every fee hours. P3B BTT and BTT Daily ROI BitTorrent Bittorrented - 2 DAPPS that is first on BTT. Put those BTT airdrop to work. Earn BTT daily with you BTT. Check it out! Mention you saw link on steemit and will give you welcome BTT gift for visiting. How's tron? Never used it.